Yeah, yeah my name actually is Sheikh, but you know what I mean! The popularity of motor shows maybe on the decline today, but not so long ago they were a must-attend for car fanatics like me. It would be the one chance to compare and contrast all the cars together under one roof, to get really anoraky about spec and details, to actually sit in the cars and imagine driving them and, of course, to meet your favourite automotive heroes. When I was a kid in the 1970s, I would drag my uninterested family to the London Motor Show at Earls Court every year. When I was a bit older I would always spend the extra to buy myself the VIP tickets for access on the second day after press day, as there would be less crowds. Obviously this was before I became a car journalist. But when I say less crowds, I don’t mean no crowds. Trouble was that even on the VIP day, some of the exotic and luxury car stands would still have long queues to gain access. 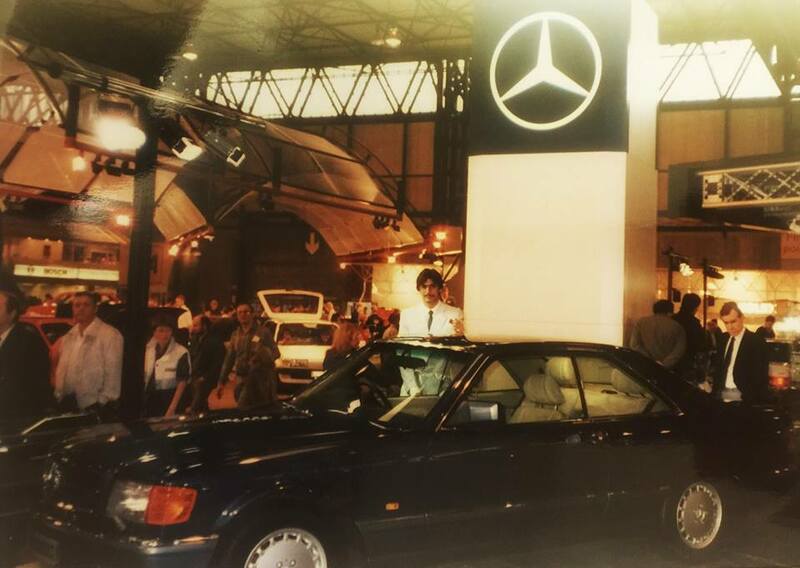 So at the 1987 London Motorfair (as it was called by this time), a mate and I devised a cheeky plan to get us fast-tracked onto the posh stands. Now whilst my surname maybe Sheikh, the word is also a title, used either to describe a leader of an Arab tribe or community, or a religious scholar. This you may already know. What you may not be aware of is that my first name, Shahzad, is actually Persian and is a contraction of Shah meaning ‘King’ and zad meaning ‘son of’. As such ‘Shahzad’ means ‘son of a king’ which makes me a Prince! 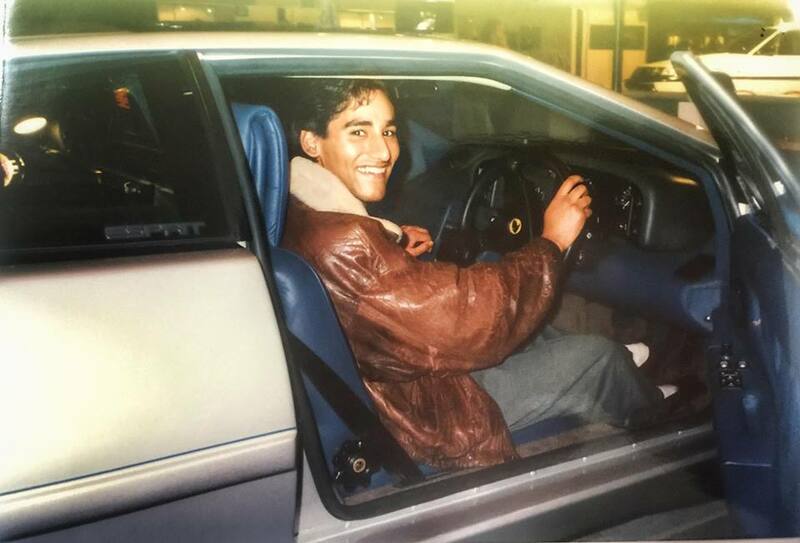 Drawing inspiration from the regal connotations of my would-be titles, we decided to take on the personas of an Arab Prince visiting London and attending the motor show, along with his London-based Minder/Bodyguard. It helped that my friend Virendra Patel had the build of a bouncer, and despite his inherent gentle nature, the ability to conjure up a serious ‘don’t f@#k with me’ expression on demand. With him in a bomber jacket and me in a bright summer suit and tie we headed to the show with one dilemma nagging at us – a small oversight that might just catch us out. Actually it was not small at all, it was pretty major, and it was simply that I didn’t speak Arabic. Sure from my time living in Saudi I knew a few words I could throw about half convincingly and feign a suitable accent, but what if someone staffing the stand actually spoke the tongue? As we contemplated this problem whilst riding the London Underground to the venue, (sitting alarmingly close to a some kids messily eating chocolate – not what you want in a perfectly creased light-coloured suit) it was Vir that came up with the solution. At this point in this discourse you’re expecting me to reveal how I ended up with melted chocolate all down the back of my trousers, or how we got caught out on the Ferrari stand, or even that we were ejected from the entire show and ended up in a police station for falsely claiming to be what we weren’t. Well I’m sorry to disappoint you dear reader, because we weren’t disappointed at all. Our plan totally worked and the day was an absolute blast! We secured immediate access to every stand we wanted to visit and spend as much time as we wished with some serious exotica. And nobody spoke to me as Vir would frown fiercely at anyone who would even attempt to approach! Of course we didn’t collect any brochures and free giveaways as that would have been unseemly and likewise we didn’t get many photographs either. But we definitely did an epic high-five as we left at the end of the day laughing our faces off!